A stand out commercial performer was Embraer. It had its biggest show ever in terms of space (four aircraft in the static including the debut of its EMB 195-E2 in golden eagle ‘Profit Hunter’ scheme. It also had the largest chalet, with a bathroom stocked high with suncream/toothbrushes/face-wipes, etc. Embraer logged over $3bn worth of orders, options and LoIs for both current E190/175 and E2 models, totalling 51 units. The show welcomed a number of debutantes in the 130-strong apron line up including Mitsubishi’s M2 regional jet, and Dassault’s Falcon 8X. Narrowbodies were trending. Boeing launched the fifth member of its re-engined B737 family the MAX 10 – a 5ft 4in stretch of the MAX 9, (showcasing at the show). United Airlines confirmed the conversion of 100 of its current 737 MAX orders into the 737 MAX 10s, duly becoming the largest single 737 MAX 10 customer in the world. Boeing claimed the battle of sales between the two biggest manufacturers – logging 571 new orders and commitments, versus Airbus 326. 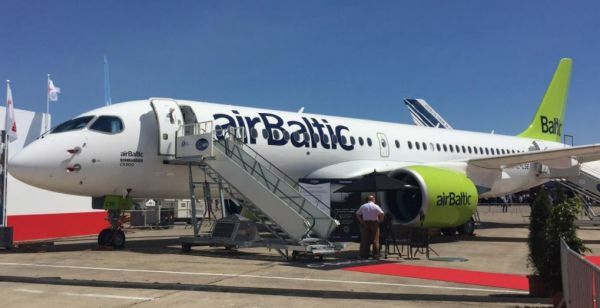 Brexit was a big discussion point, but there was good news for the UK as ADS Chief Executive Paul Everitt and Business Minister Richard Harrington highlighted the UK economy will benefit from the £13bn of aircraft deals announced at the show. The total 1,400 aircraft commitments represents a global value of £130bn and the UK’s aerospace sector, Europe’s largest, will be one of the biggest beneficiaries. 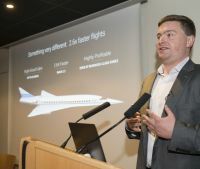 The 1,220 commitments for single aisle aircraft, for example, is worth £109bn globally / £9.7bn to UK industry, he said. Since 2016, the United Kingdom has accounted for 11% of all mergers and acquisitions within the global aerospace and defence sector, with British companies involved in 58 total deals. Lazard Investment Bank’s recent sale of Derby-based Gardner Aerospace to Chinese aerospace firm Shaanxi Ligeance Mineral Resources was completed just ahead of the show. 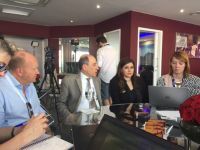 The Paris Air Show is always a ripe opportunity to explore deal making, according to Managing Director and Head of Aerospace and Defense at Lazard Michael Richter. Favourable credit markets are supporting private equity participation and there is a wider availability of financing. In the current aerospace cycle, many companies are seeking new growth avenues to expand their territories and add to their expertise. While new orders for aircraft have seen a pronounced decline in the past 12 months, backlogs remain at record highs, and this drives high production rates and creates increased visibility in deliveries, he said. There was brisk business in the turboprop sector. Ethiopian Airlines was revealed as fifth time repeat customer for five additional Bombardier Q400 aircraft – “the core element in serving our expanding domestic and regional destinations,” CEO Tewolde Gebremariam said. We will be back for more, he said. Philippine Airlines signed up for seven more aircraft and India’s Spicejet said it needed up to 50. Pratt & Whitney Canada CEO John Saabas announced a new customer for its latest PW150C engine, signing a deal with China to support AVIC’s MA700 regional turboprop. 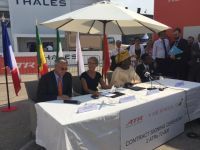 ATR must have regretted its decision not to have a chalet this year, hosting new African customer Air Senegal late Tuesday afternoon under the wing of its ATR72-600 for its signing announcement. 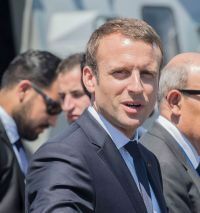 Even new President Emmanuel Macron was backing turboprops – arriving to formally open the show in an Airbus A400M. Supersonic air transport had a high profile showing with the USA’s Boom Technology announcing it has logged 76 orders (non-refundable deposits) from five airlines for its proposed premium 55-seat business-class aircraft. Virgin Atlantic is the only one disclosed customer. Designed to fly at Mach 2.2 (1,451mph or 2,335km/h) up to 9,000nmi (17,668km), though this will involve a technical stop at 4,500nmi, service entry is planned for 2023, a year after Aerion’s bizjet pioneer. Blake Scholl, Boom’s founder and CEO outlined that Boom’s XB-1 demonstrator will fly next year, starting with subsonic flight testing in Denver. Supersonic flights will follow – from Edwards Air Force Base in Southern California. At this year’s co-located SkyTrax cabin service Awards Qatar Airways took the crown from Emirates as best airline of the year. It also scooped best business class, well timed as it promoted its new Q Suite premier cabin offering shown onboard an A350 on the static park. Etihad Airways was named best first class carrier; Thai Airways best economy airline and Air Asia best low-cost carrier. A delighted Peter Foster, CEO and President of Kazakhstan’s Air Astana accepted the accolade of best carrier for Central Asia and India for the sixth consecutive year. He made a whistle stop trip to Paris but was straight back as the country hosts EXPO 2017 in Astana through to September. For Mr Al Baker collecting an award was a welcome respite. Talking with a select few media about the ban (by four ME countries) he stressed there will not be any cancellations of aircraft orders; plenty of other countries want Qatar to serve them. It will add new routes to Macedonia, Ljubljana, Slovenia and Saravejo, and more services to Iran. “The ban was a gross violation of international law," he said, “No country has the right to block airspace.” He was critical of ICAO because it flouts the Organisation’s own rules. “This is a diplomatic issue. This blockade is not going to slow down the airline’s growth. We still have needs for more wide-bodied aircraft and will accept more A350s this year”. Speaking to BTN Mr Al Baker said he had not closed the door on the Bombardier C Series. Even the most experienced of Le Bourget could could not think of an air show as hot as this one. Ladies were fast tracked to security at dedicated lines at L and O gates, leaving the men in suits somewhat bemused. 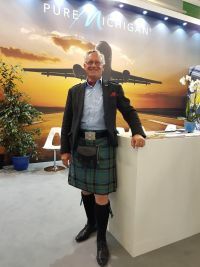 Not least British-born Charles des Moulins who stood out in the crowd during the week sporting his ancestral Stevenson Clan kilt. He was at the show to promote Michigan State, together with governor Rick Synder and 10 Michigan aerospace companies in the busy US pavilion. Michigan had an extremely productive show, he said, meeting with French aerospace companies including Airbus, Safran and Dassault. On the busy RER train from Paris he got into conversation with a French visitor – who played the bagpipes too. I started out from Bristol Airport and the quiet, dedicated lounge of bmi regional. 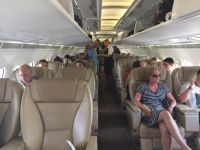 Their usual 36 passenger EMB-135 sheduled service regional jet had been upgraded to a sub-contracted Cello Aviation BAe 146 VIP jet, fitted out with spacious 49 seats, four abreast. Usually chartered by football teams, musicians and MICE, the flight made for a pleasant journey to CDG.